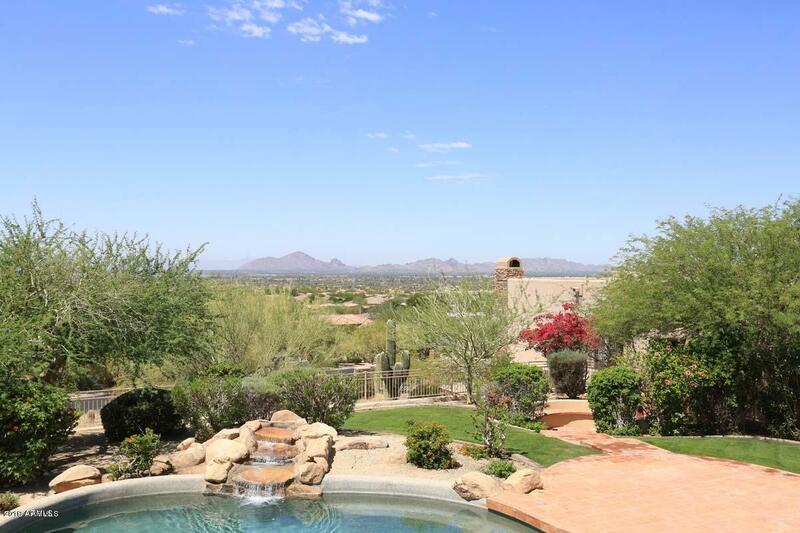 This hillside home has spectacular, unobstructed views of city lights, Camelback and the golf course. 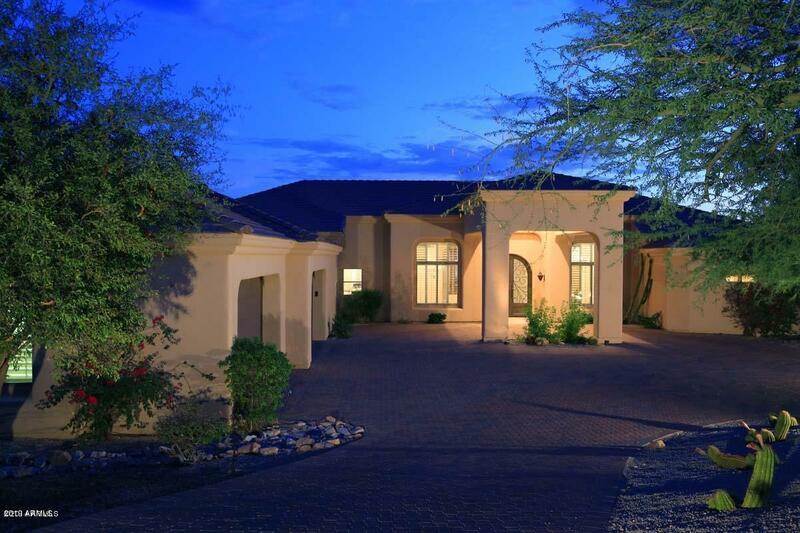 Located in prestigious Ancala Country Club on a large, private lot. Multiple covered patios, outdoor kitchen and large grassy area all overlooking the views and designed to enjoy the Arizona lifestyle! 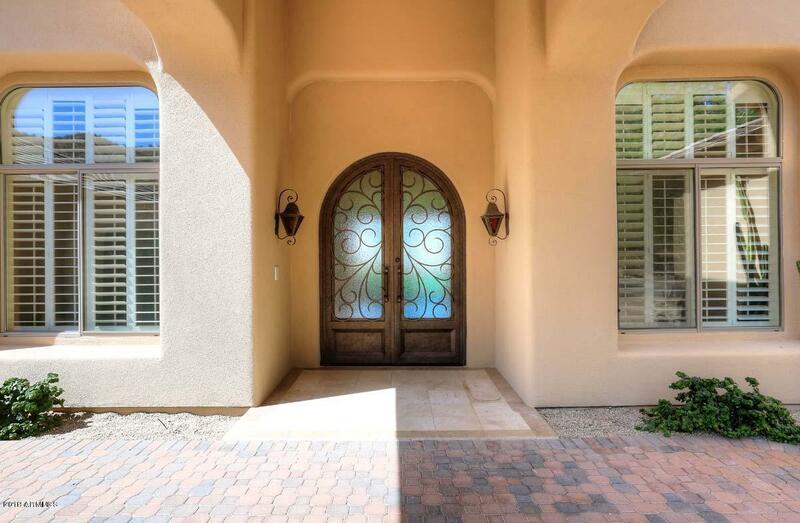 Guests are greeted at the beautiful iron and glass door and enter into the fully updated elegant home. All bedrooms are oversized with private bathrooms. Master suite on the 1st floor (absolutely no steps!) with never-ending views and a bathroom finished in Carrera marble. Gorgeous chef's kitchen with huge center island and top of the line appliances. Separate office and media room, two family rooms, wet bar... Oversized 4 car garage and large motor court. Must see to appreciate!